I am Xaero, the clan leader of Magnum Opus. We are an old school gaming clan that was founded in 2003. This is THE original Magnum Opus clan known from many other online games. Today I am making this post to search for new awesome members and clan friends. This recruitment will be a complete reboot of the Magnum Opus Overwatch clan, starting from scratch with a blank team roster. Magnum Opus are looking to recruit 6-12 players for our Overwatch Clan, to form 2 teams that play together on a regular basis. I am looking to create one "2K Team" who plays in the 2000+ SR bracket, and a "3K Team" who will compete in the 3000+ SR bracket. Upon recruitment to the clan you will be placed under a trial period. During this trial period we will play matches together to see how well you work with the team. The primary Magnum Opus Overwatch team will consist of the 6 most reliable players, handpicked from the recruits. Our main requirement to join and stay in the clan is to be loyal, active and helpful. We will expect you to be active and communicative in the clan at least 2-3 days a week for a couple of hours every session as a minimum. You should be a mature and an enthusiastic power gamer, preferably 18+ years old, and be able to communicate well in English. You must have a headset with microphone and Teamspeak client as well as Discord client. Voice communication is a must. We treat our virtual encounters with respect and you should too. What you get in return is a very active, social and functional clan. Our game clan members are everything from actual IRL war veterans, IT-professionals to family fathers. Some of us have over 25 years of experience in gaming. We will do scheduled matches 2-4 times a week. We have our own teamspeak server, discord server and clan forums. We have a very sophisticated and well documented clan structure with ranks and rewards. We also recently hired a professional Top500 Overwatch coach that we will use for both our teams to progress and improve. 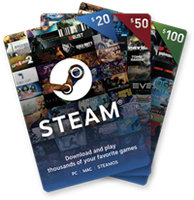 I will also be hosting a monthly reward giveaway! The rewards are given away to the most dedicated, loyal and highest skilled members for showing awesome efforts towards the clan. 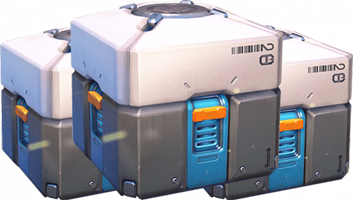 The rewards can be either in game overwatch loot boxes or Steam Wallet Gift Cards. Do your absolute best to meet the above criteria's and we might see you on the clan roster soon!